With a passion for creativity and a deep love of marriage, I have dedicated the past 10 years of my life to capturing the love that couples have for each other. To me, weddings are invigorating. 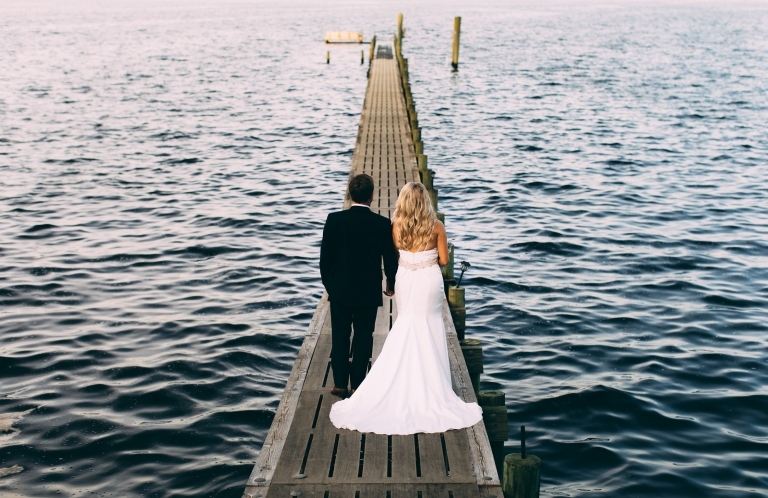 Because every couple is unique, no two engagement sessions or weddings are the same. When I photograph a couple, my goal is to bring out what makes them special. 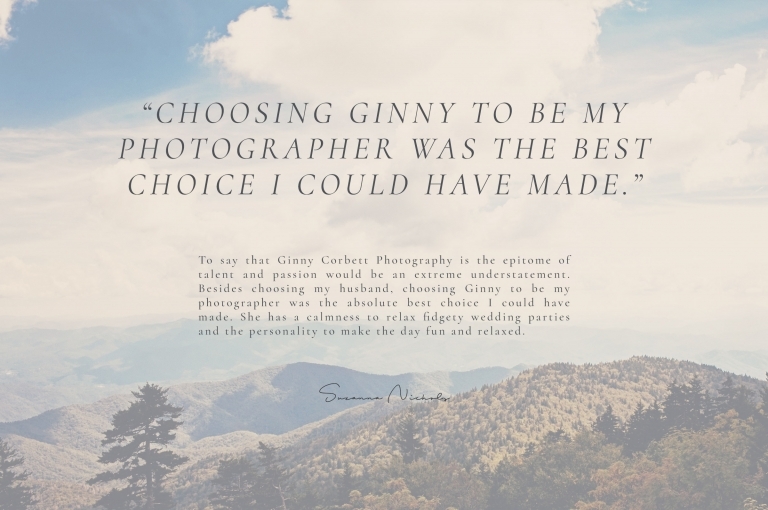 When I set out to write this short bio, I asked friends and clients to tell me the first word that comes to mind when they thought of me as a person and as a photographer. The words that I heard the most were genuine, funny, warm, and passionate. 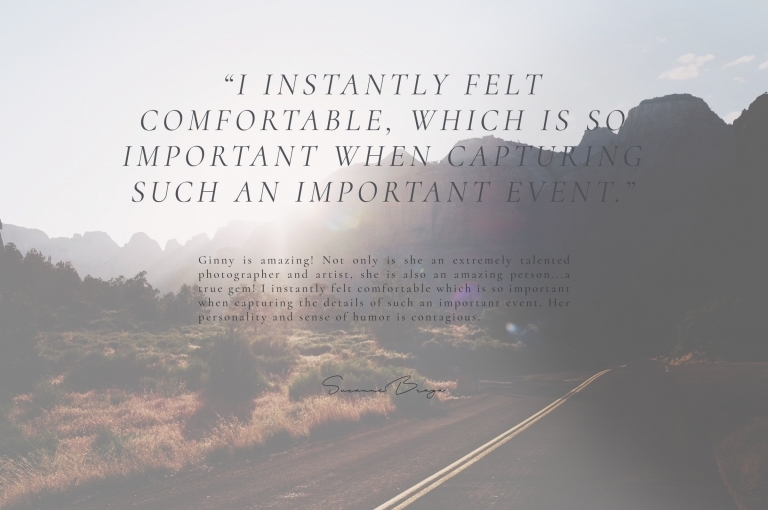 It is my number one priority to make sure you feel completely comfortable with me as your photographer. A comfortable couple is a beautiful couple. Want to know more about me as a person? Click "learn more" below. 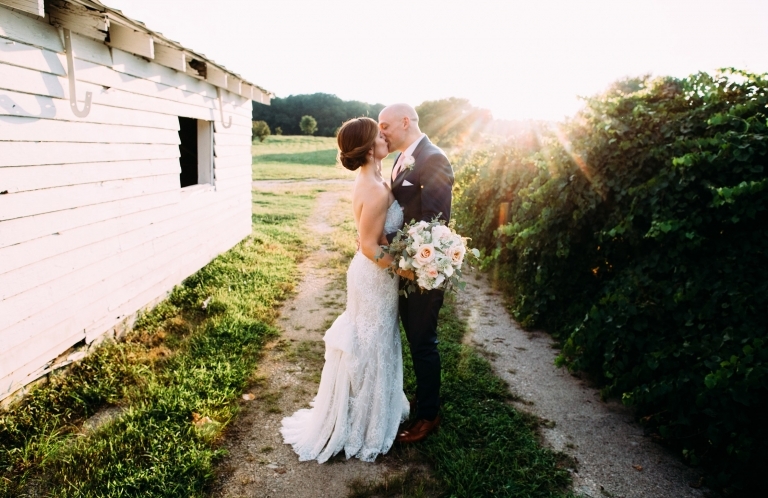 All wedding collections include two photographers, a USB of edited files in both color and b&w, a slideshow, and an online gallery to share with friends and family. Each wedding collection is customizable. To learn more, click on the "contact" tab above. 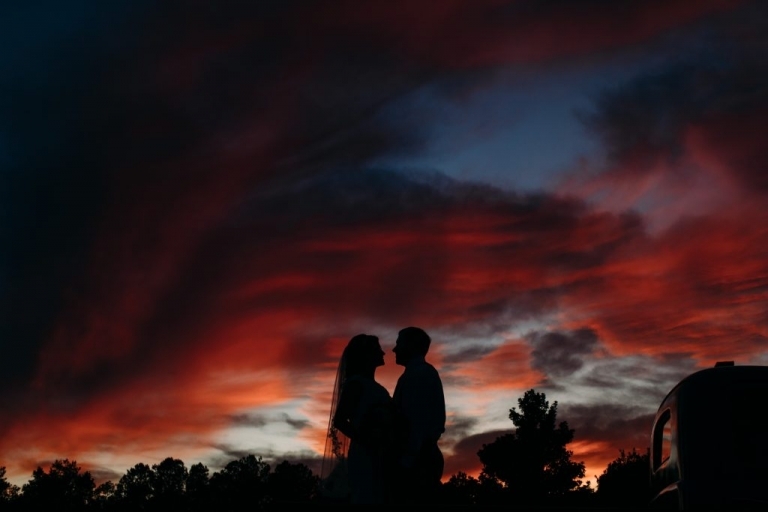 Each engagement session is around 1.5 hours and begins on weekdays approximately 2 hours before sunset. You will receive a beautiful slideshow as well as an online gallery for you to share with friends and family. Bridal portraits are the perfect way to have a trial run of your hair, makeup, florist, and wedding day attire. 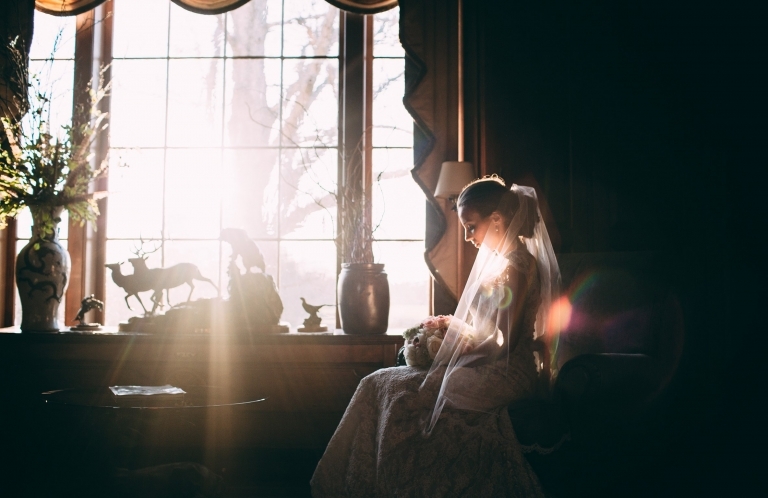 Each bridal portrait session lasts about an hour and is scheduled on weekday afternoons around 3 hours before sunset. 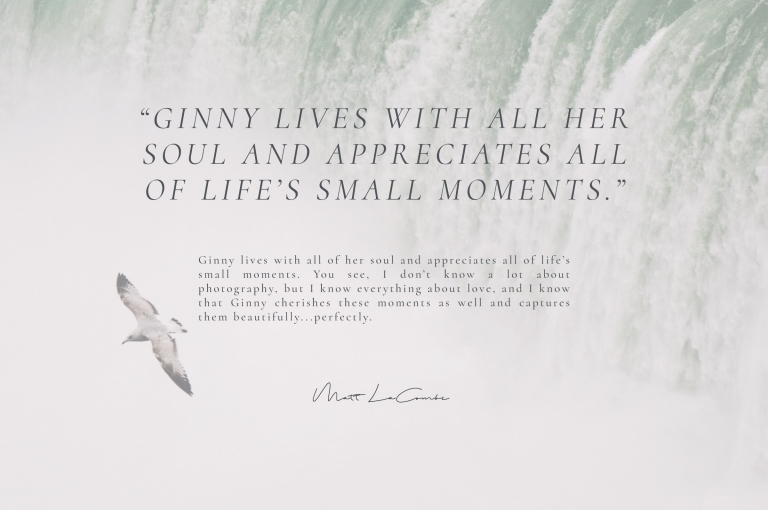 Is there anything you'd like to share with Ginny about your wedding or event? 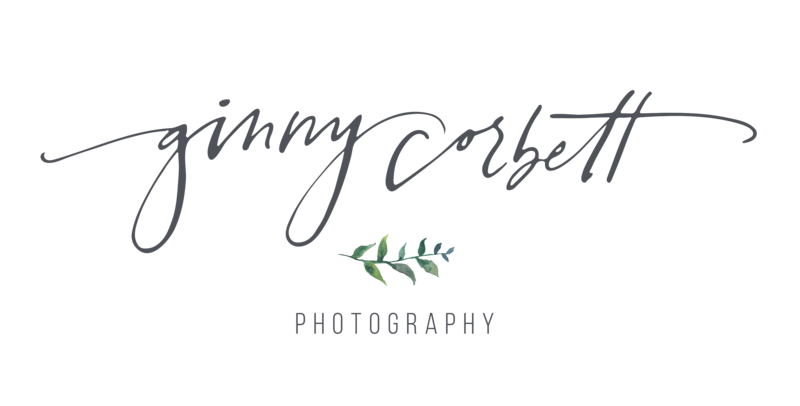 How did you hear about Ginny Corbett?